One thing that my children love is animals and being outdoors! It is a love they have inherited from both their dad and I. My husband is a animal charmer and seems to be able to get any animal to calm down and go to him. 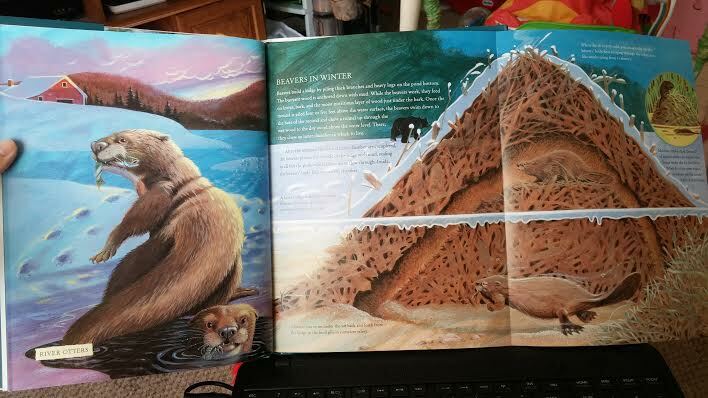 I was very excited to give the kids a book about how animals survive in the coldest places on Earth. 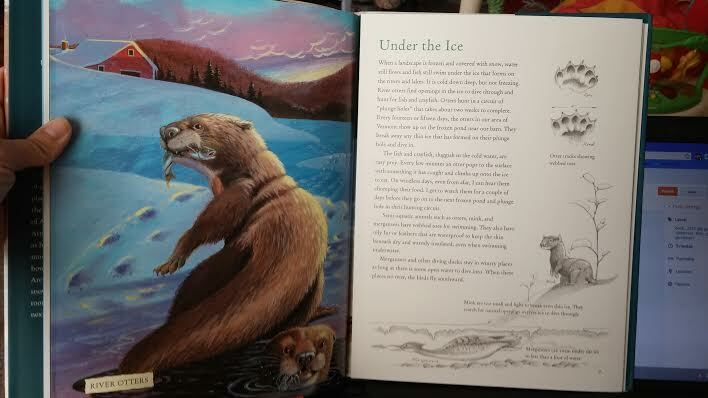 This wonderful book is titled Frozen Wild and has quickly become a family favorite in the Anderson Household. Get the kids bundled up in a warm blanket on the couch and join award-winning author, illustrator, and naturalist Jim Arnosky as he ventures into the cold to follow otters, beavers, moose, polar bears, penguins, fur seals, and other fascinating creatures to learn how they cope with the frigid weather. Stunning art and five magnificent foldouts reveal worlds under the ice and up to the farthest, frostiest reaches of the globe, capturing fascinating creatures in their natural habitats. This is a wonderful book for children of all ages! My children range in age from 11 - 2 and each one loved looking at and reading this book. The girls loved the pictures and foldouts in the book while the boys really enjoyed reading and learning about the animals and how they survive in such cold weather. This story would make a great Christmas for the animal lover in your life. Weather young or old I can guarantee they will find this book fascinating. 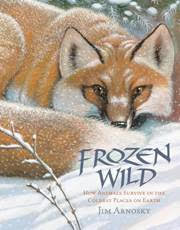 Jim Arnosky adds Frozen Wild to his collection of other fascinating books about animals such as: Wild Tracks! A Guide To Nature's Footprints, Thunder Birds: Nature's Flying Patterns, Slither and Crawl: Eye To Eye With Reptiles and Shimmer & Splash: The Sparkling World Of Sea Life. How would you like to Win a Copy of Frozen Wild? If you would then simply enter below... Good Luck!! Personally, I've been learning about Polar Bears since I'm fighting Exxon putting in the Trans-Alaska pipeline. Did you know they are as smart as apes? I love learning about Polar Bears and Penguins!